Raymond Schaffer believed the new sheriff when he said there would be no retribution against those who had supported his opponent. However, days after the sheriff took office, Schaffer discovered he was wrong. 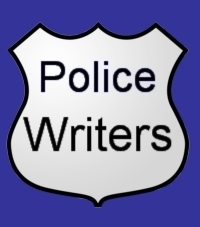 “Surviving: Drunk Drivers-Gutter Politics and Police,” is Raymond Schaffer’s autobiographical account of employee persecution in law enforcement. According to one reader of Surviving: Drunk Drivers, Gutter Politics and Police, “Raymond Schaffer's autobiographical book is the story of an honest cop who refused to play along with the politically corrupt game in the Broome County, New York sheriff's department ruled (as the author describes him) by a cruel, vindictive and buffoonish sheriff named David Harder. At 554 pages it is a long read, and the real story of Schaffer's journey into agency hell doesn't begin until 200 or so pages in. By then, whether you've read every word or skimmed some of the minutiae I personally would have edited out, you will know Ray Schaffer very, very well. He examines himself with unflinching, even brutal, honesty. His is a journey into the underworld of police and political incompetence. Following the election of a sheriff whose opponent he had supported, he found himself in a department run by incompetent and none-too-bright leaders driven by narcissism and peopled with underlings most of whom are a**-kissing slugs. The author also describes a journey of self-discovery that took him to the brink of a mental breakdown only prevented by timely psychotherapy. In the first half of the book writing is amateurish but not off-putting. But once Schaffer begins to describe his war against the sheriff and his minions a writing transformation takes place. There is a passion and urgency in his prose that the first third of the book lacks. With considerable insight and courage, he describes his thoughts, emotions and even his violent retribution fantasies. Readers unfamiliar with just how rotten a law enforcement agency can become may not believe that such a thing is possible. His story will seem like the rambling of the delusional Alice who falls asleep and dreamed herself in Wonderland ruled by the insane Queen of Hearts. When the Queen commands "off with their heads," no real blood is shed. The insular worlds of these few law enforcement agencies is all too real. Their monarchs can decide to ruin the lives of their subordinates. I can attest, from my work as a police stress therapist helping honest cops cope with morally bankrupt departments, that while these agencies are thankfully a small minority, they do exist. Civil Division: responsible for handing and delivering civil processes such as judgments, evictions and auctions. Corrections Division: responsible for maintaining custody of prisoners remanded by courts. Detective Division: responsible for major crimes and juvenile violators, special investigations and major crime tracking. Highway Patrol Division: responsible for law enforcement, arrest of lawbreakers, criminial investigations, auto accident investigations, and public safety. Identification Division: responsible for pistol permits, sheriff id cards, fingerprinting, and criminal records. Training Division: responsible for mandated police and correctional training. Also provides all inservice training for Sheriff's Office employees and runs the Basic Police Academy for a seven county area. Business Office: responsible for cash receipts, cash disbursements, payroll reports and accounts payable. Records Division: responsible for the recording and maintaining of all official records and documents relative to the police operations of the Broome County Sheriff's Office. Community Policing: responsible for community policing activities for the Sheriff's Office.